Sample our digital fine art images on Davis Digital today. Bring the museum to your students with access to more than 35,000 high-quality fine art images! With Davis Art Images, you can expand your curriculum with artwork from leading museums and galleries. Find the images you need, compare and contrast any two images, create sets and instant slideshows, or add images to lessons in the Curriculum Builder. Teachers can download any image as a high-quality JPEG. All images in our library have been tagged with search terms specific to art education so you can find what you need quickly. Each image includes metadata that allows you to find other images from that artist, from that time period or place, medium, and much more! Our library of digital fine art images houses a stunning variety of art forms, showcasing artwork created across time and from cultures around the world. Our curator has organized a wide variety of searchable image sets to help with research and planning. You can easily find images to extend each chapter and lesson in any Davis eBook. Each subscription includes unlimited accounts for all students and teachers within your school building. Search for images by artist, style, art form, culture, or Davis text-book series. Once you choose the images you need, tag the images with your own keywords, such as a specific class or lesson, art concept, or textbook to easily find your images whenever you need them. Access your tagged images right from the images homepage at any time. Use your tagged image sets to create instant online slide shows. Customize your slide shows by arranging the images in the order you want. You can instantly compare and contrast any two images side-by-side for in-depth analysis and critique. Your students can explore the complete library of more than 35,000 images. Students can browse the entire collection, or you can direct students to explore specific sets of images that you have created through tagging. The quality of our images is trusted by prestigious museums who have given us permission to provide images from their collections. 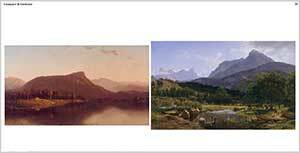 New museums and images are added on a regular basis at no additional cost to you.